Getting tired of playing that same group of 4-5 maps, after getting used to the dozens of maps available in Halo 3 after all the DLC dropped? Good news on that front, as Halo Reach is on its way to following suite, with the announcement of the Noble Map Pack, which will drop on November 30th for the standard price of 800ms points ($10). Anchor 9 is a low-orbit space station. What this means is cool views of planet Reach and more low-grav combat (like at the top of Midship). The map will be focused on close quarters combat inside and longer range low grav combat on the outside. Anchor 9 supports 2-8 players, and will appear in the Free For All, Team Slayer, and Team Objective playlists. Tempest will feature two symmetrical bases with some sparse woodlands and rocky surfaces in between them. It kind of reminds me of Standoff in Halo 3. Tempest supports 8-16 players and will appear in Free For All, Team Slayer, Team Objective, and Big Team Battle playlists. It will also have new custom map variations that can be used in Forge. 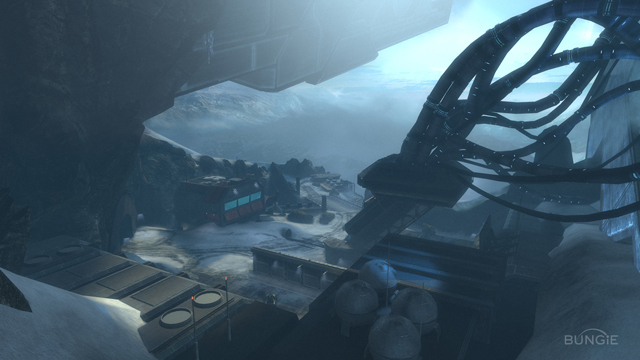 Breakpoint is a snowy map designed for Invasion. It will also support Big Team Battle, but will not support any of the smaller playlists such as Team Slayer or Team Objective. Submitted by Halo3Picz on Sun, 10/17/2010 - 15:08. You won't be able to play matchmaking? Submitted by bbmarker3 on Mon, 10/18/2010 - 08:52. You'll still be able to play matchmaking. It will probably just work like Halo 3 did where on normal playlists the new maps will only come up as a voting option if everyone in the game has them. And there will also be a separate playlist for the new maps. Submitted by Halo3Picz on Sun, 10/17/2010 - 15:09. Submitted by dreadlord2011 on Wed, 11/03/2010 - 10:39.